Fred the Bartender has heard many wild tales in his time, but the one Jack Matthews is about to tell him will challenge both his credulity and his sanity. 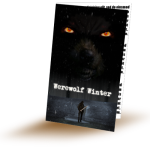 WerewolfWinter.com welcomes your questions and comments about privacy. Please send email to [email protected]rewolfwinter.com.